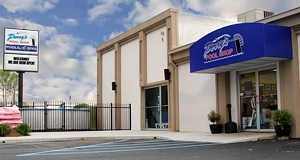 Perry's Pool Shop is a family-owned business that started in 1975 when owner, Kenny Perry, decided to bring his pool-building talents to the community. Perry built his first pool for his family, and he has not stopped since. With more than 35 years of experience under his belt, Kenny has the knowledge and expertise needed to make your dreams of owning a pool a reality. In 1983, Kenny opened his first retail store, Perry's Pool Shop, in Seymour, Indiana at 626 East Tipton Street, and we have been proudly serving customers at that location for more than 25 years. At Perry's Pool Shop we take great pride in our work and our value for you, the customer. With the success of the Seymour location, Perry's Pool Shop decided to expand, and in 2005, another retail store was added at 12 Washington Street in North Vernon, Indiana. In 2012, in order to meet the needs of our growing clientele, the North Vernon shop relocated to a larger facility next door. The new location at 420 North State Street offers a greater variety of pool and spa supplies as well as an indoor showroom. 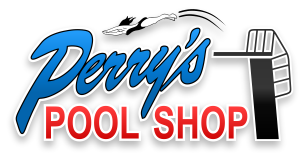 With two locations staffed with professional and qualified people, Perry's Pool Shop is dedicated to helping you with all of your pool and spa needs. Stop in and see us today!